Aged care providers should work with other sector stakeholders to present a consistent message to the royal commission like it did in the lead up to the 2012 reforms, a key industry conference has heard. 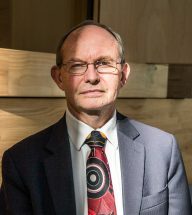 Health economist Professor Michael Woods, who was the presiding commissioner of the Productivity Commission’s 2011 aged care inquiry Caring for Older Australians, said the coherence of views amongst stakeholders has a powerful influence on that inquiry. 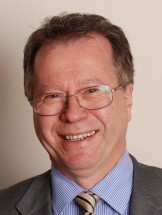 Stakeholders came together under the National Aged Care Alliance (NACA) and put forward a persuasive narrative that covered all issues from workforce to financing, delivery of care and consumer experience, said Professor Woods from the Centre for Health Economics Research and Evaluation at University of Technology Sydney. “That was a very powerful influence on the direction of that Caring for Older Australians report,” Professor Woods told the Financial Sustainability in Aged Care conference in Sydney on Thursday. “It contrasted greatly with 1997 when each stakeholder had their own view and therefore governments were able to cherry pick which bits it liked and didn’t like,” he said. “If the stakeholders can come together again in front of the royal commission and present a coherent narrative of where we have got to” and why and “where we are going that will have a much more significant influence on the commission than if everyone is out there just protecting their own bit and arguing their own case,” Professor Woods said. Thursday’s conference was hosted in partnership with consumer advocacy COTA Australia, which is a member of NACA. COTA Australia chief executive Ian Yates said he agreed that the sector should work together again. “While I don’t think that everybody has to have exactly the same message, the sector needs to be as united as it can be in presenting to the royal commission a full and frank analysis of what are the shortcomings of the industry at the moment and most particularly the directions in which we need to move,” Mr Yates told Australian Ageing Agenda at the conference. Mr Yates said conversations about the royal commission within NACA were at an early stage, but that he hoped the alliance would be able to come together with a single voice. The two commissioners and terms of reference for the 18-month aged care royal commission were announced on 9 October, more than three weeks after Prime Minister Scott Morrison announced the inquiry on 16 September (read more here and here). AAA understands the directions hearing for the aged care royal commission will take place on 7 December. This article only appears to refer to service providers – and does not appear to refer to clients. COTA is not the only peak body representing clients. I am sure people receiving services will wish to have an input to the Royal Commission. In terms of service providers – there appear to be two groups, the ‘businesses’ and non-profits. Two completely different models of service delivery. With what has been publicised regarding the provision of services in this area I think it is important that all who wish to put forward a view have the opportunity to do so. That way the process may be meaningful in terms of the reality of service provision and gaps in service provision. Errrr…excuse me, but why do we have so many ‘experts’ who have absolutely no experience in providing direct care? Surely I’m not the only one who is tired of hearing these dingbats chiming in on our behalf?